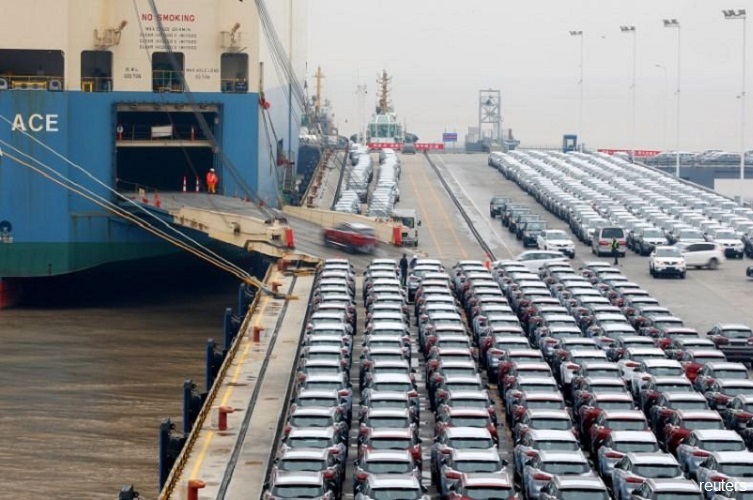 China's global trade volume rose a year ago but its surplus with the world fell 16.2% to $351.76 billion in 2018, as imports rose 15.8% while exports gained 9.9%. China's surplus with the U.S. is a hot-button issue with the administration of President Donald Trump, which slapped new import tariffs on billions of dollars worth of Chinese goods past year. In December 2018, therefore, China imported 9.23 million tons of gas, both by pipeline and as LNG, up 17 percent on the year. That reflects the impact of Beijing's retaliatory tariffs and encouragement to importers to buy more from non-U.S. suppliers. Renewed fears over the strength of the global economy piled pressure on stock markets and commodity prices this morning after China revealed a sharp drop in exports. Last year's trade surplus was $352 billion, the figures showed.